This review is about item#7169294. This review is about item#07169337. This review is about item#07169303. Even degreasing properly, you can use it with confidence if high tack. This review is about item#07169276. After all the 3M's double sided tape is very good. This review is about item#07169285. I hope the price is cheaper. This review is about item#07169312. The 3M double-sided tape which we sell at the home center etc, was kind and was always cautious. 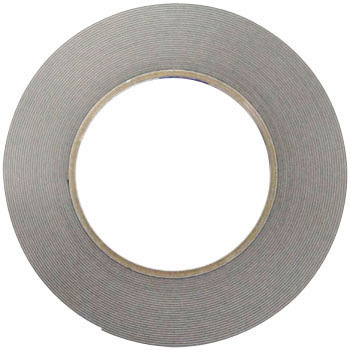 This site deals with many 3M tapes, so there are more choices and it will be helpful. I think there is only what is being used in the automobile manufacturing line. Used for front spoiler installation of car. I could hardly find a 5 mm wide tape, but it was finally there. It is easy to bend along the curve, it is rubbery and strong against water. Even if you purchase double-sided tape at home center etc., it costs a reasonable price, so it is saved. It is the same as what a professional sheet metal shop is using, so I have trust. As you can see, it is definitely fixed and satisfying. It is very easy to get on and it can be used without any great differences from those for cars such as Aemon. It is very handy because it has a large number of turns for price. However, since it is a consumable item, since it is not received from the customer as a tape fee, I think that I would appreciate it if it is a bit cheaper. To stretch the display board in places where long-term attachment is difficult with double-sided tape which is generally sold. This product is a car sheet metal factory etc, and it has been proven to have been used for emblem attachment and so it was safe to use. If the place does not get wet or dirty when sticking, it sticks perfectly. If it sticks, there is no sign of peeling at all even in a hot place. This review is about item#07169294. Good adhesion right after wearing! After installing inside accessories, it is hard to peel off due to heat!